I was so pleased when Lady Behind The Curtain decided to continue her monthly Dessert Challenge, but it sneaked up on me a little bit. Thankfully the two ingredients that we have to use this month are some of my favorites: hot chocolate mix/chocolate pudding mix and marshmallows! Since taking part in this challenge, I have tried to come up with ideas of my own instead of just copying other people’s recipes. I have had a few failures along the way, but this is not one of them. 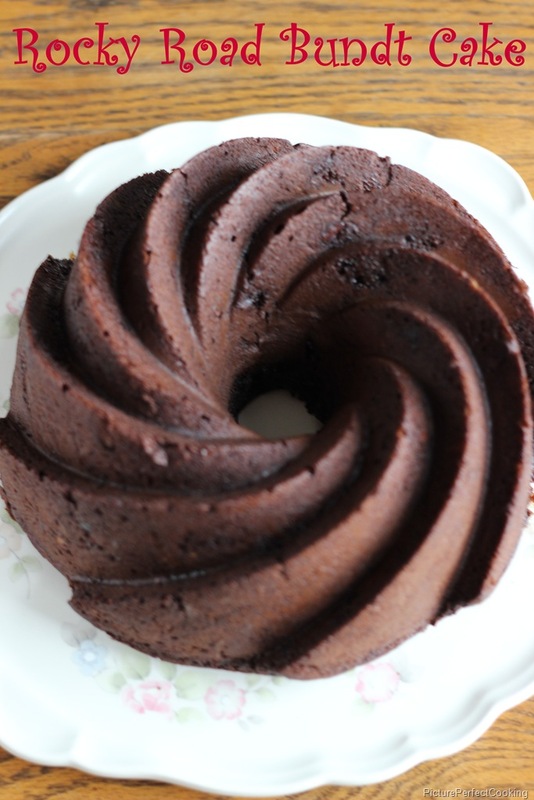 I started with my favorite simple chocolate Bundt cake recipe and just upgraded it a little bit. One thing I had not counted on was the marshmallows melting completely during baking. Oops! 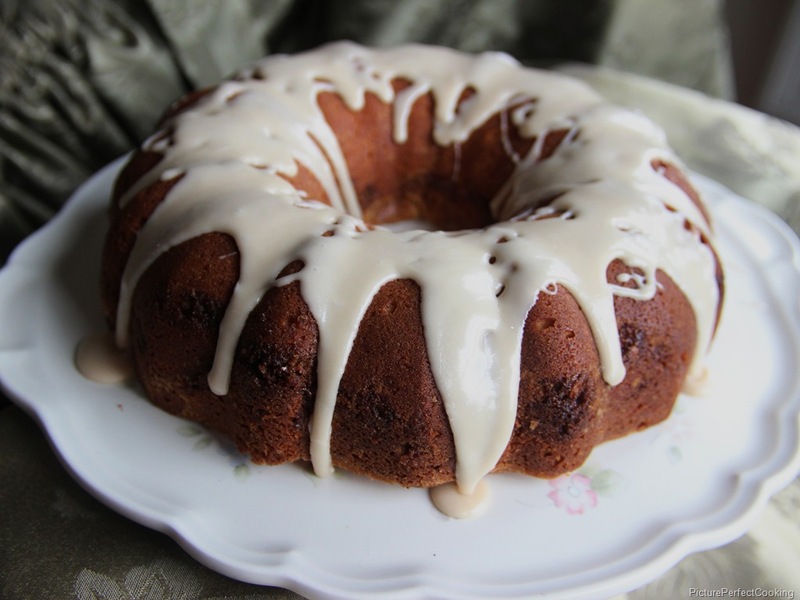 You can’t see them in the cake, but they are definitely there in these soft little gooey spots throughout the cake. Yum!! Hope you enjoy! 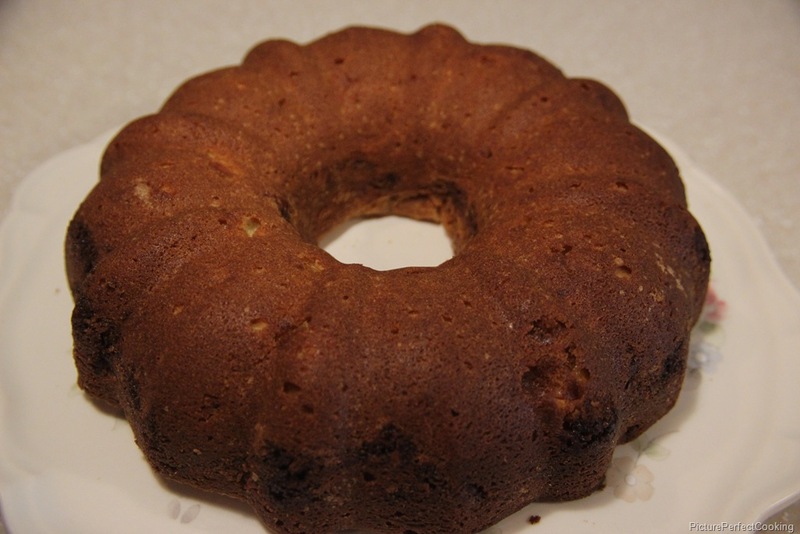 Preheat your oven to 350 degrees and prepare a Bundt pan by spraying it with baking spray. I just love my new Nordicware pan that I got for Christmas. The cake looks like a big chocolate flower. 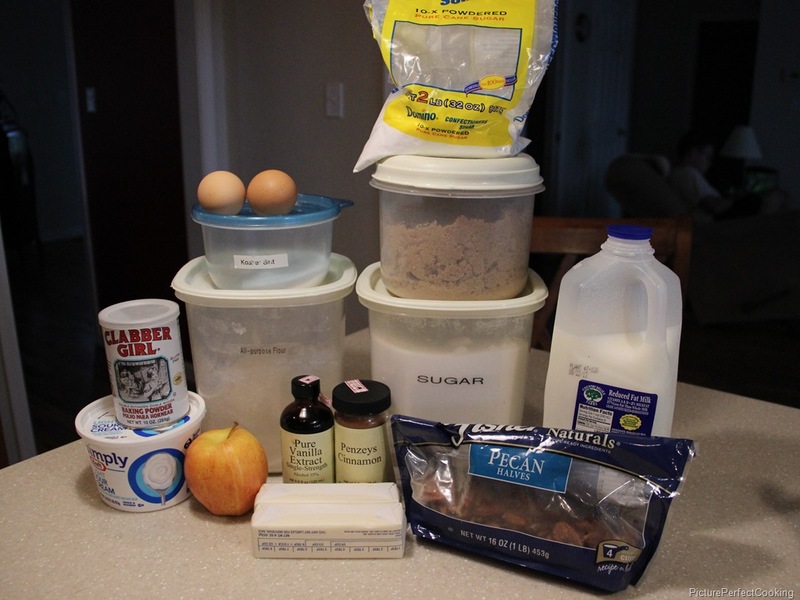 Combine the cake mix, pudding mix, milk, and eggs. 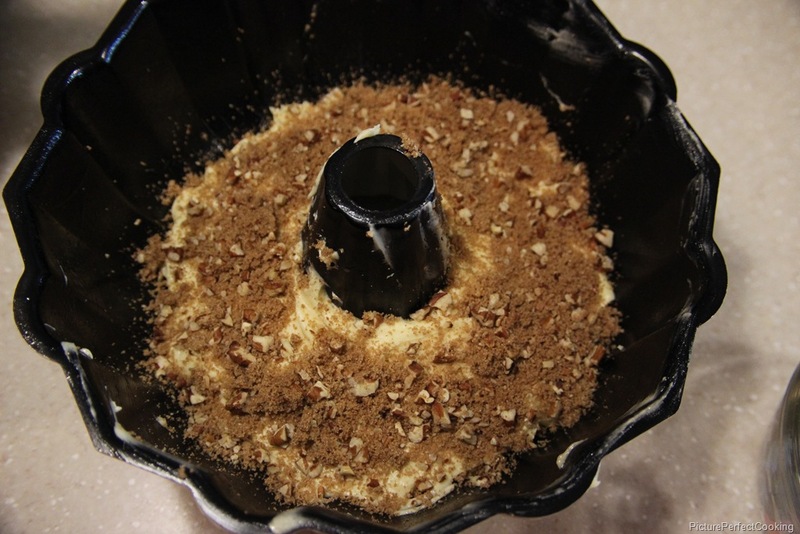 With an electric mixer, beat on low until just combined and then beat on medium for 2 minutes. 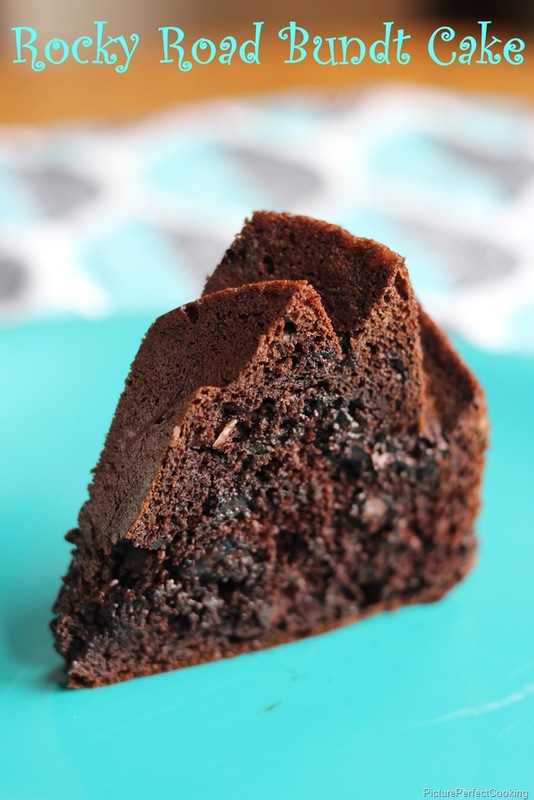 Fold in the chocolate chips, marshmallow pieces and almond pieces. Bake for 1 hour then cool in the pan for 10 minutes. Remove the cake from the pan and let it completely cool before slicing and devouring! 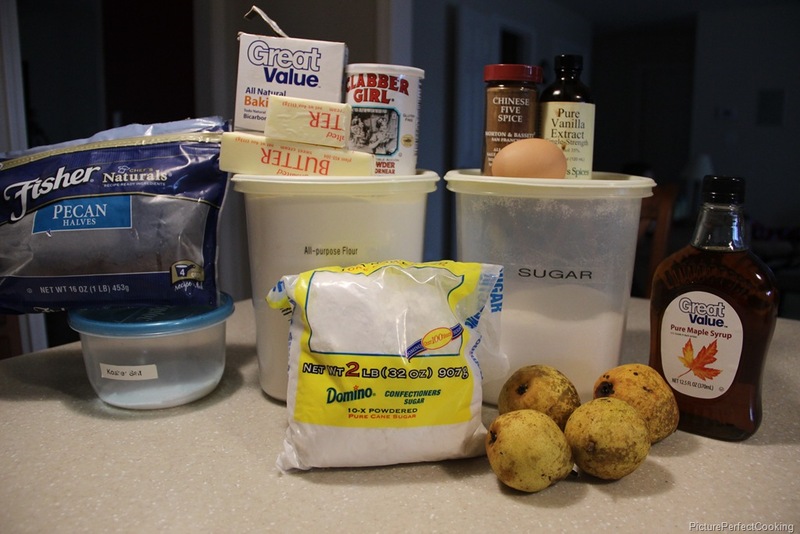 Welcome to the November edition of the Lady Behind The Curtain Dessert Challenge where we are using pears and maple as our spotlight ingredients. Since I made muffins last month, I decided to stay on the handheld dessert theme and make cupcakes this time. 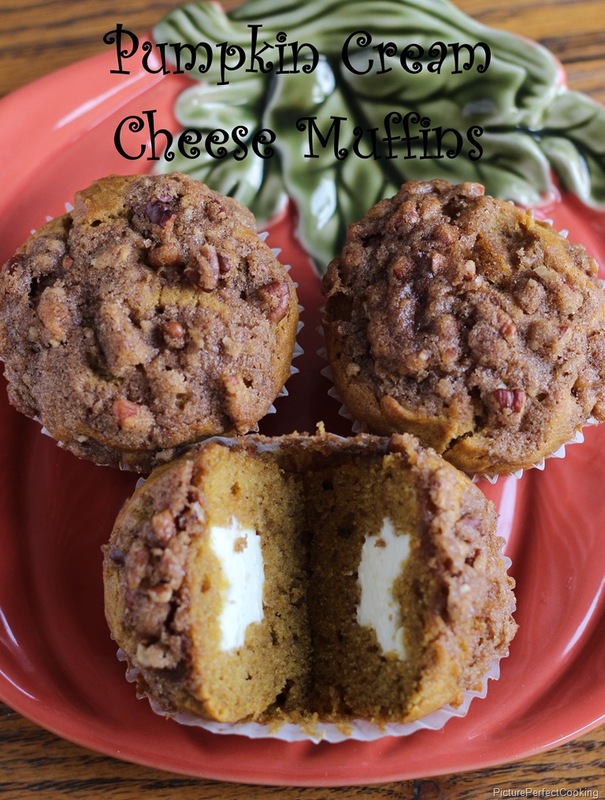 These are so moist and flavorful! 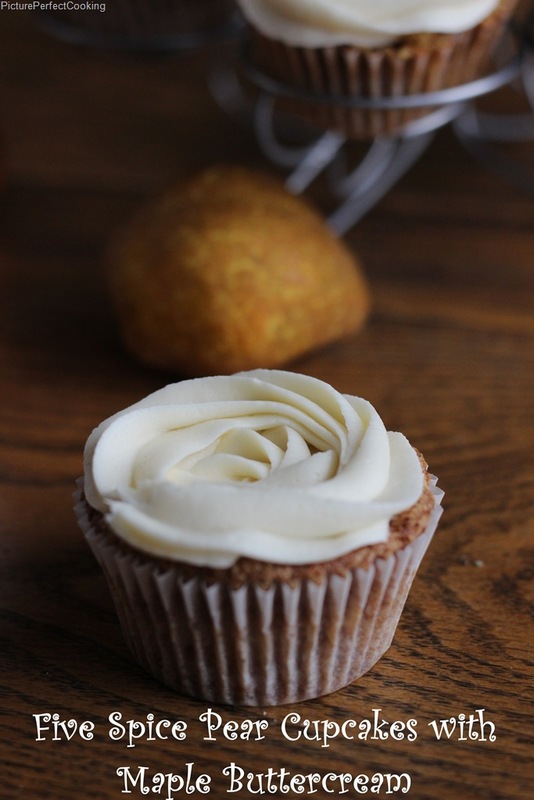 The texture is more like a muffin than a cupcake, but the maple buttercream just puts it over the edge from snack/breakfast food to a true dessert! 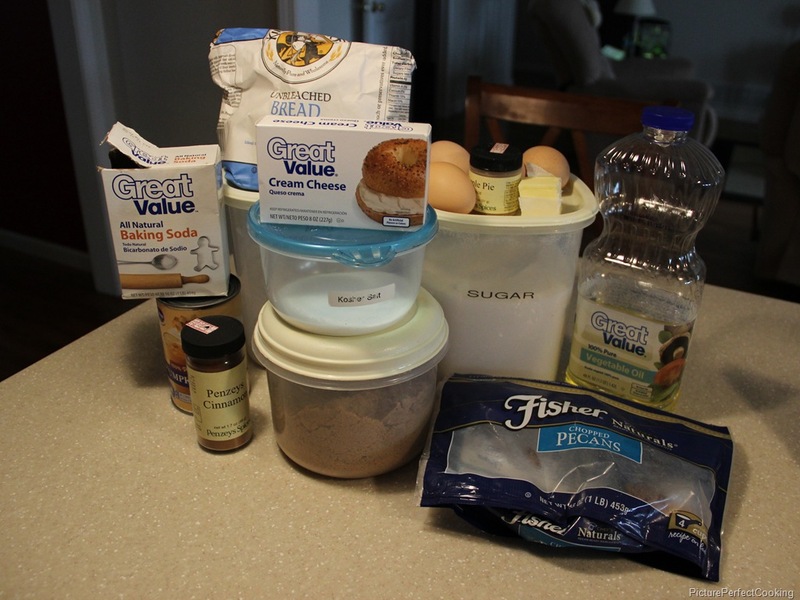 I started with this cupcake recipe from Sugar Hero and this frosting recipe from Chow and tweaked it as you see below. This is definitely a keeper! Preheat the oven to 350 degrees. 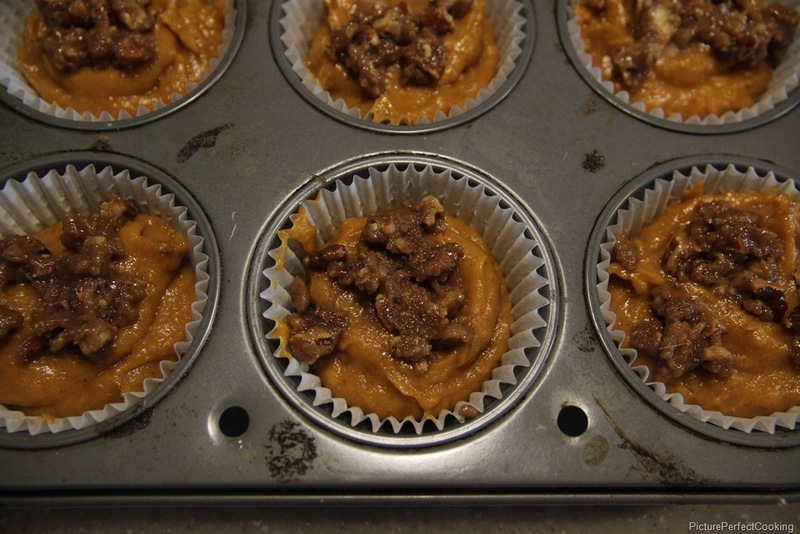 This is a perfect time to toast the pecan pieces. 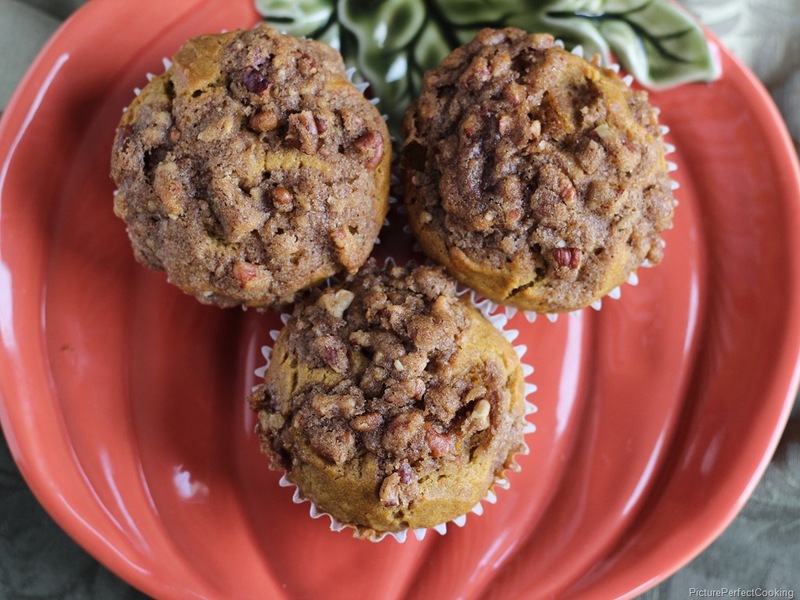 Line a muffin tin with cupcake liners and set aside. 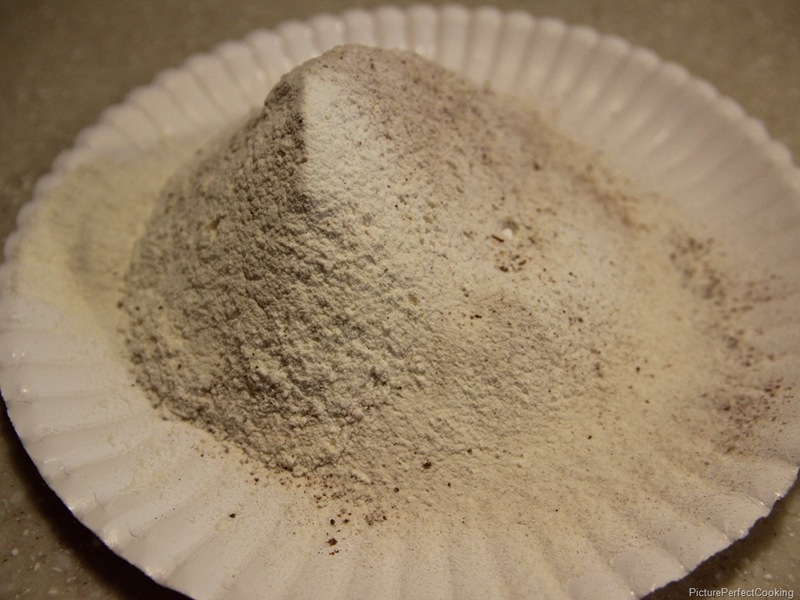 Sift together the flour, baking soda, baking powder, salt & Chinese 5 spice. 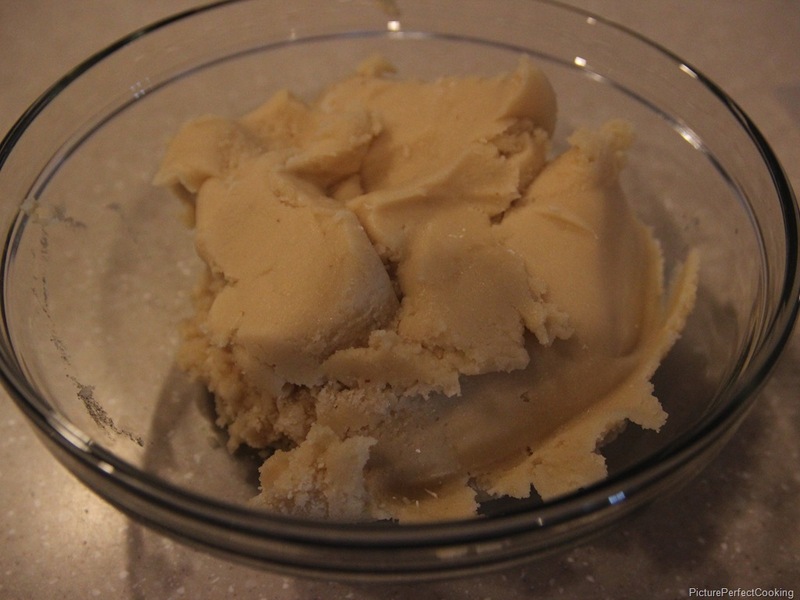 With an electric mixer, beat the butter and granulated sugar until light and fluffy, about 5 minutes. Then add the egg and vanilla. 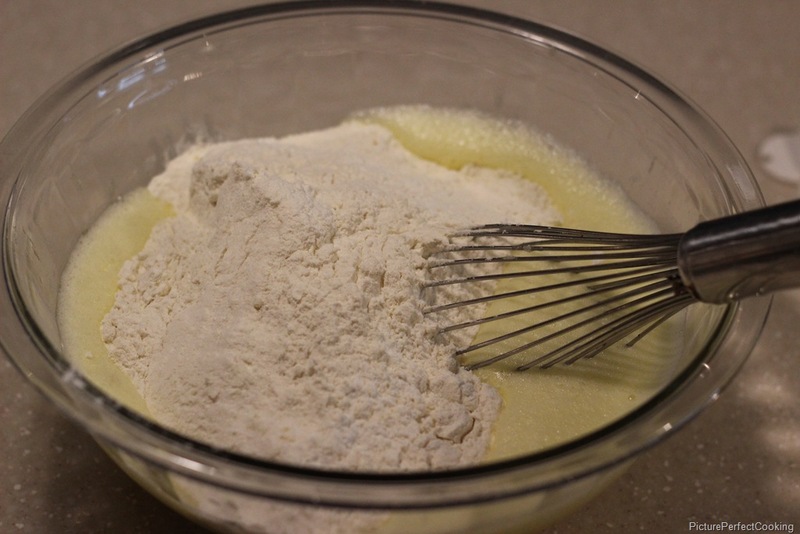 Slowly add the flour mixture and stir until just combined. Stir in the pears and pecans gently by hand. Fill the cupcake liners no more than 2/3 full because the cupcake will spread instead of rise and you don’t want ugly cupcakes. 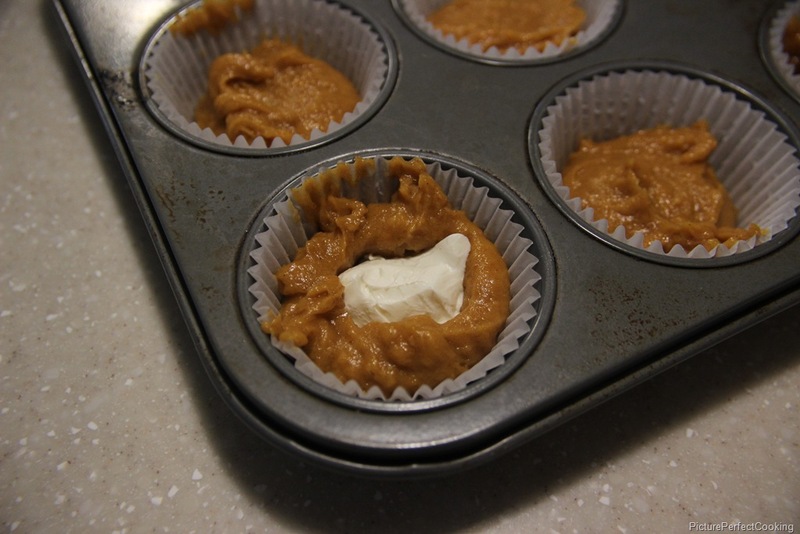 Bake for 20-23 minutes or until a toothpick inserted in the center comes out with few or no crumbs. 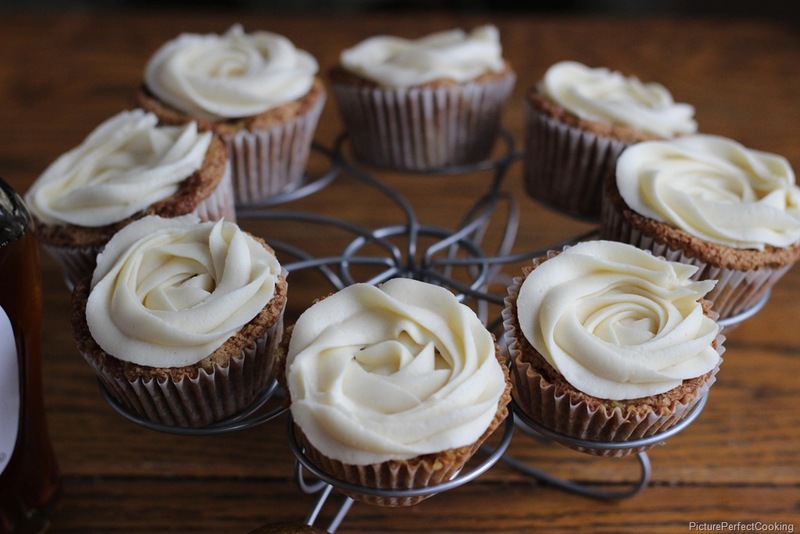 Cool completely and frost with the maple buttercream. 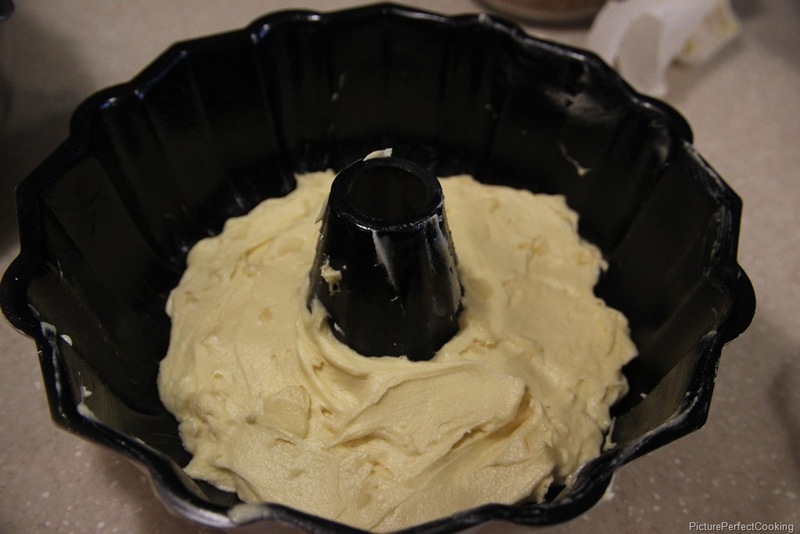 For the frosting, beat the butter, salt, and maple syrup together with an electric mixer fitted with a whisk attachment. Don’t worry if it still looks separated because the sugar will make it come together. Add the sugar about 1/2 cup at a time and mix thoroughly. You may need to adjust the sugar amount to make it the consistency that you want. I decided to use a 2D piping tip to frost the cupcakes. It almost looks like a rose when you are done. 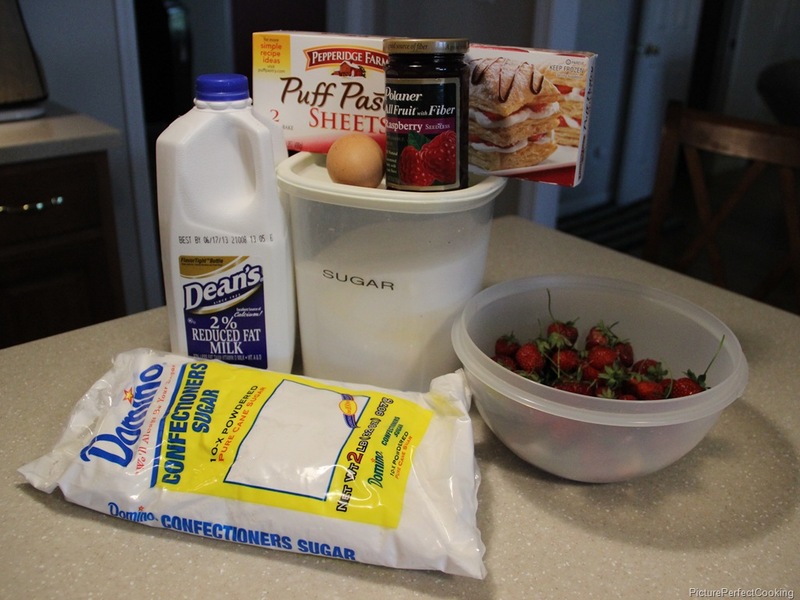 This recipe makes 12- 14 cupcakes. 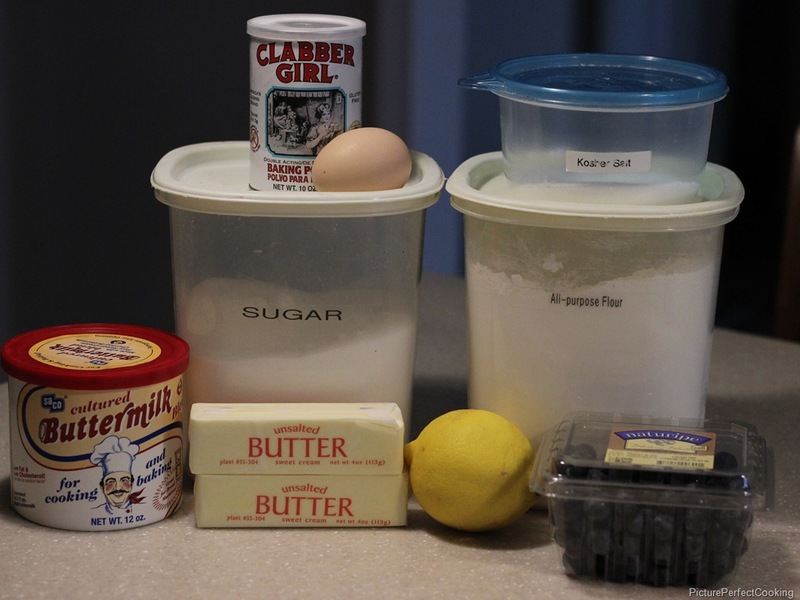 July’s spotlight ingredients for the Lady Behind The Curtain’s Dessert Challenge is, drumroll please…blueberries & lemon! 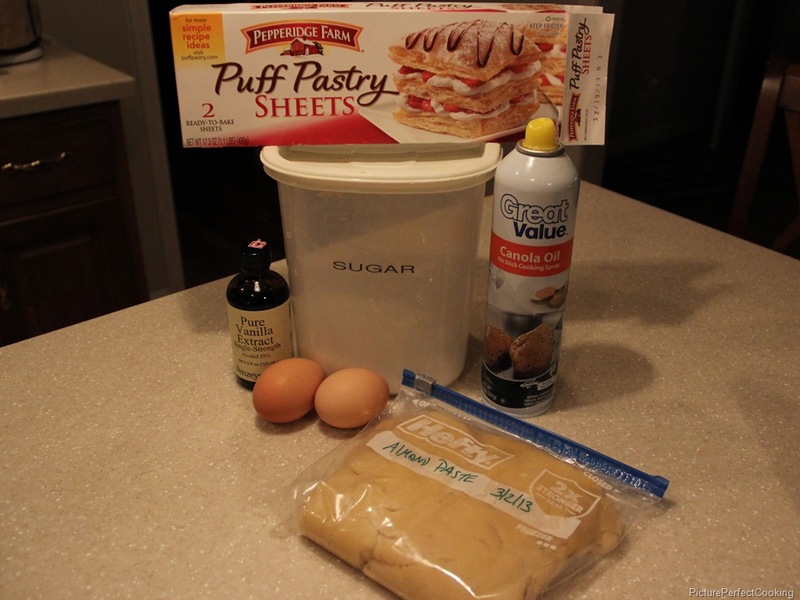 I had not used that combination before so off to Pinterest I went in search of a new recipe to try. 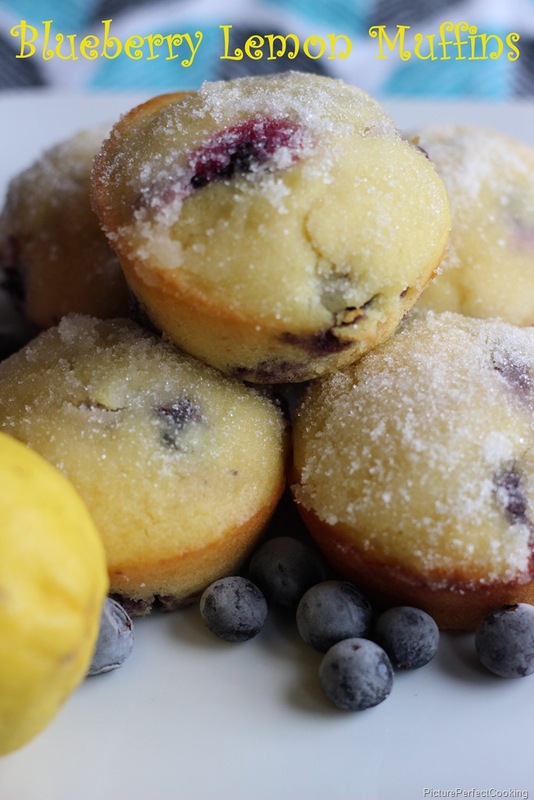 I found this delicious muffin recipe on the blog, Silver Boxes and knew I had found the right one. 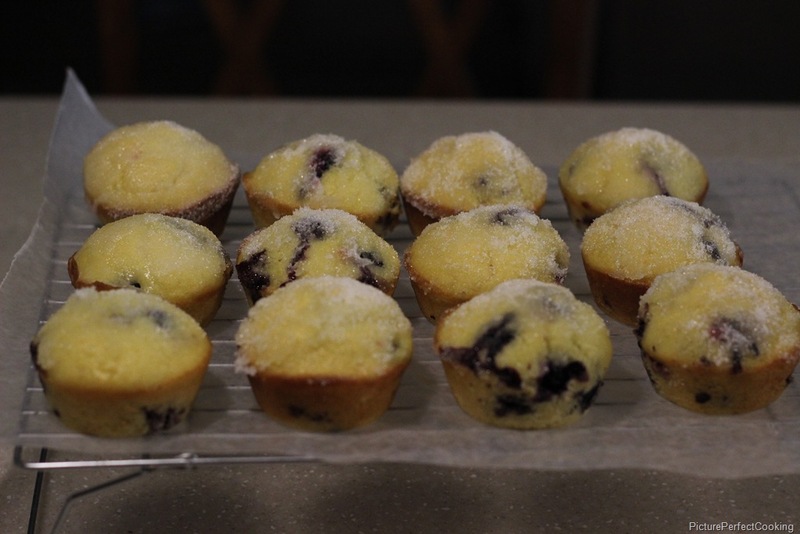 I love blueberry muffins, but I never made them from scratch. Instead, I always used a box mix that came with the little can of blueberries. Well, I can now say that fresh is best! 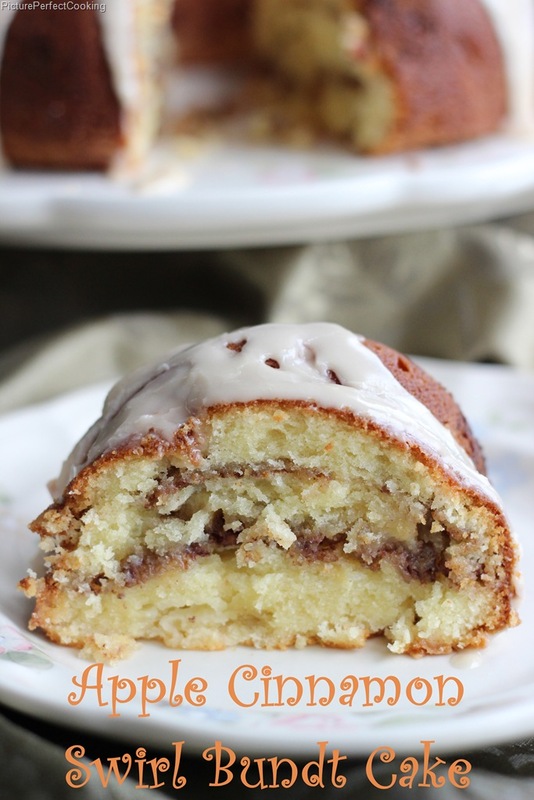 These are awesome, especially with the melted butter, lemon, and sugar topping. This makes 12 to 14 muffins depending on the size you want. Preheat your oven to 375 degrees. Spray a muffin pan with non-stick spray. 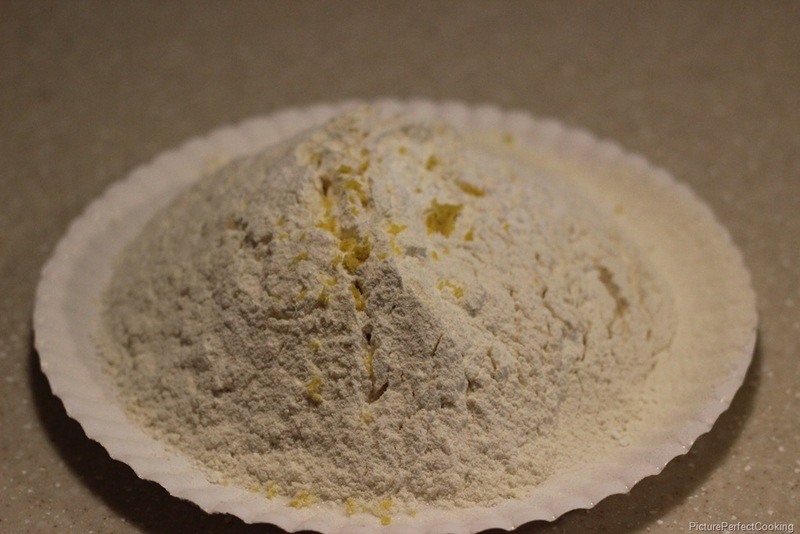 Sift the flour, sugar, baking powder, dried buttermilk and salt together. Zest the lemon over the dry ingredients and set aside. 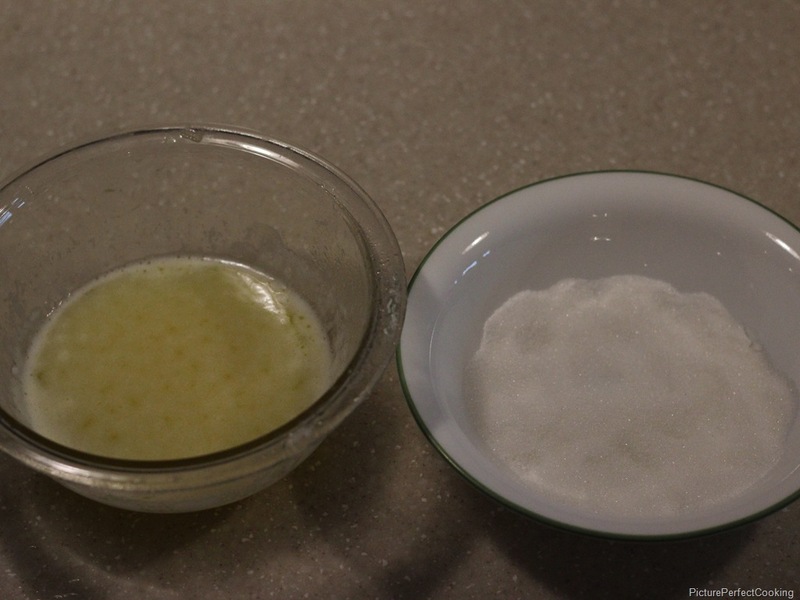 Beat the egg in a medium bowl and then add the water and 1/2 cup melted butter. 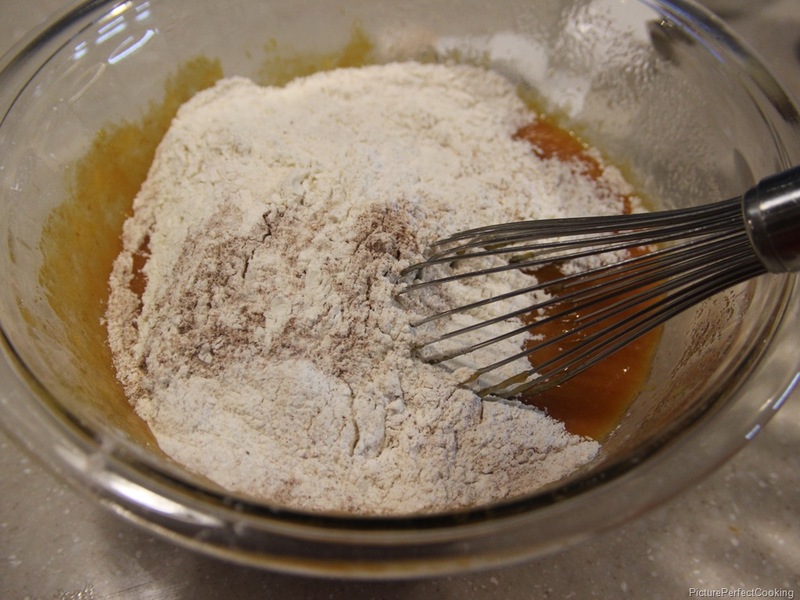 Add the dry mixture to the egg mixture and stir until just mixed. The batter will be a little lumpy. 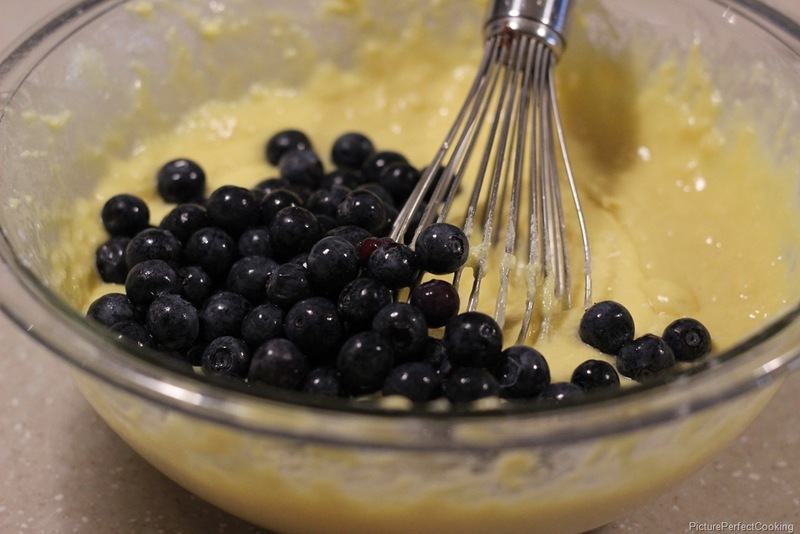 Stir in the blueberries. 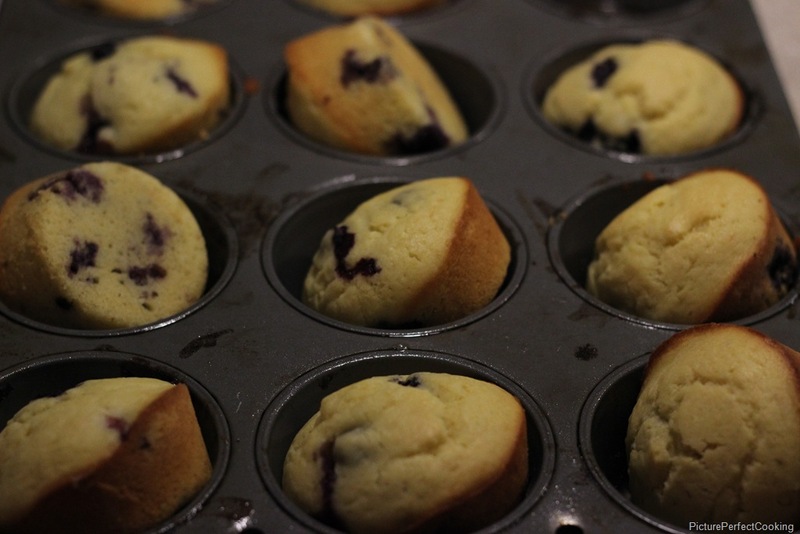 Fill the muffin pans 2/3 full and bake for 20 minutes or until the muffins test done. Let them cool in the pan for 10 minutes then remove to continue cooling. For the topping: Combine 1/2 cup melted butter and the juice from 1 lemon. 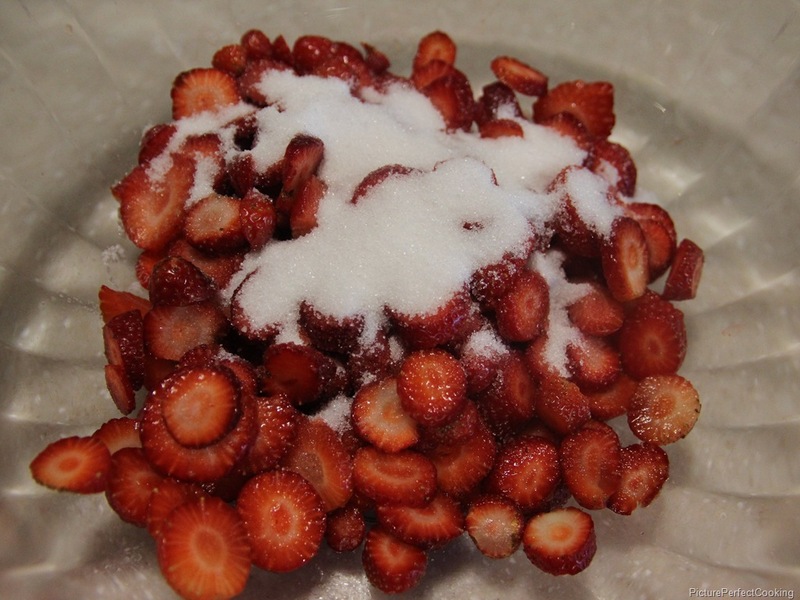 Pour 1 cup of sugar in a separate bowl. Dip the tops of the muffins into the butter then roll them in the sugar. Now all you have to do is eat them. Enjoy! Welcome to the June edition of the Behind The Curtain Dessert Challenge hosted by Lady Behind The Curtain where every month we are given two ingredients to shine a spotlight on. This month we are using strawberries and raspberries which are two of my favorite flavors. 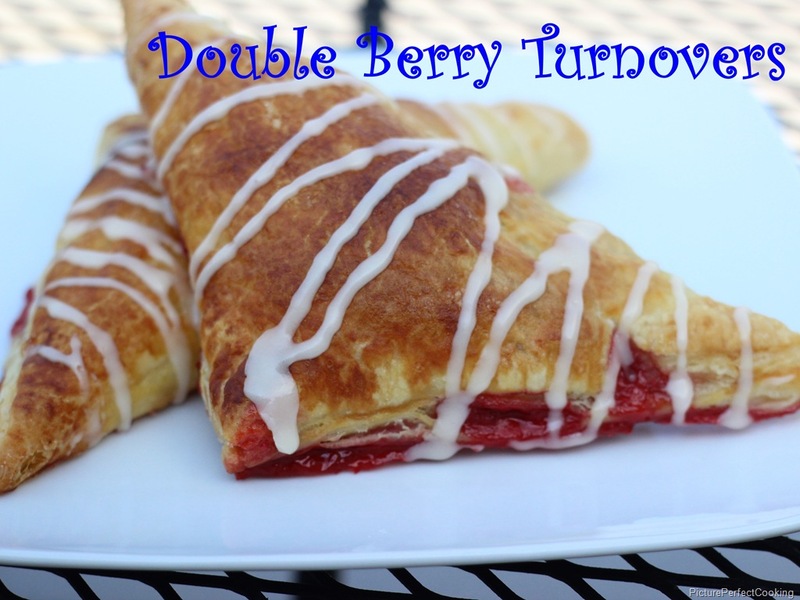 Here is my very own recipe for Double Berry Turnovers. Preheat oven to 400 degrees and line two baking sheets with foil then spray the foil with non-stick spray. Slice the strawberries and stir in 3 tbsp. of sugar. Set aside while you prepare your dough. 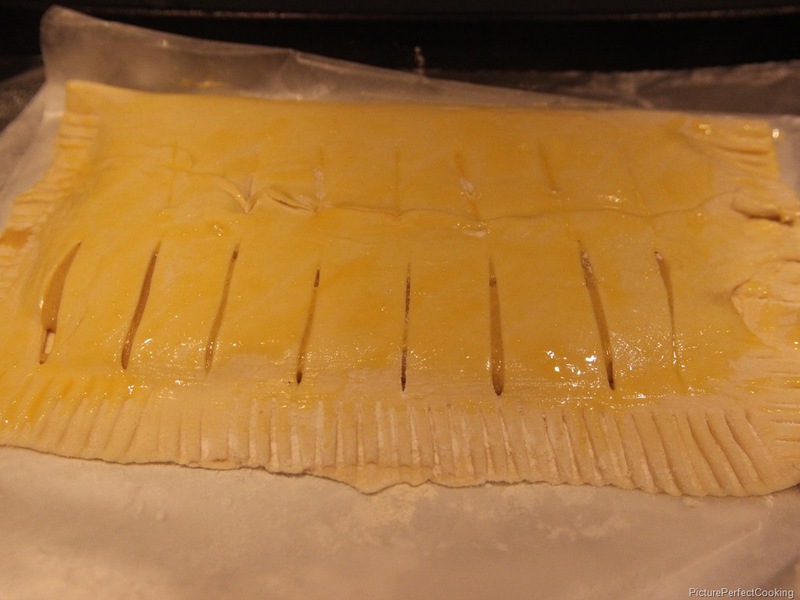 On a lightly floured surface, roll out the puff pastry dough 1 sheet at a time. Use a pizza cutter to trim the edges and cut into 4 squares. Prepare the egg wash by whisking the egg with a tablespoon of water and set aside. 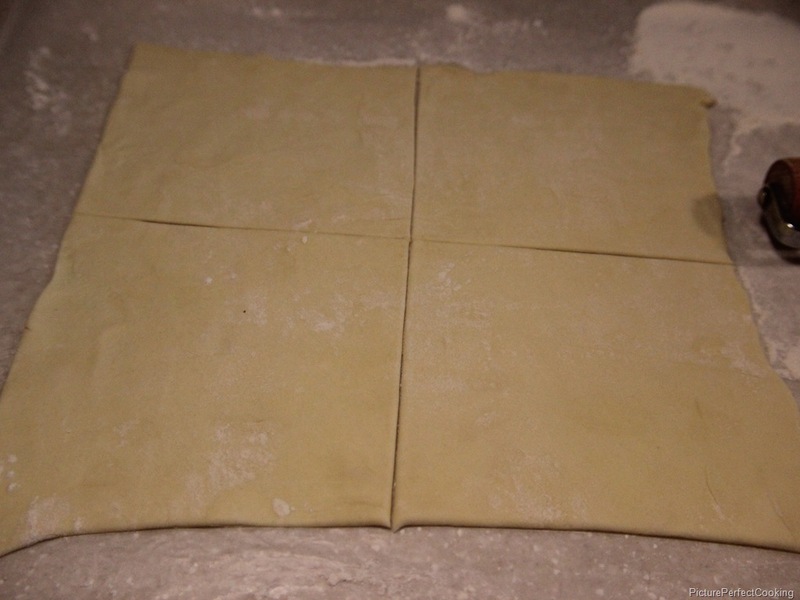 In the center of each dough square, place 1/2 tbsp. of the raspberry spread and a scant 1/4 cup of strawberry slices. Drain as much of the juice from the strawberries as possible. Coat 2 edges of the square with the egg wash. 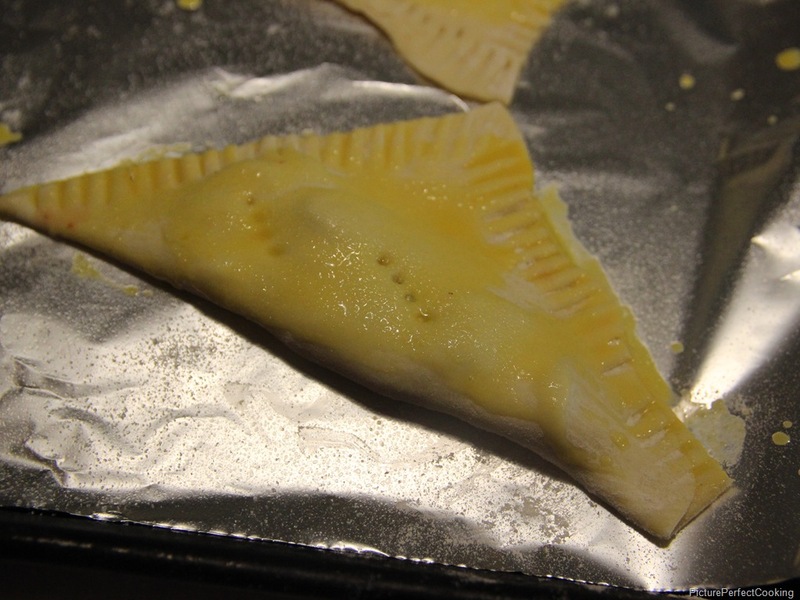 Fold the dough to form a triangle and crimp the edges with a fork. 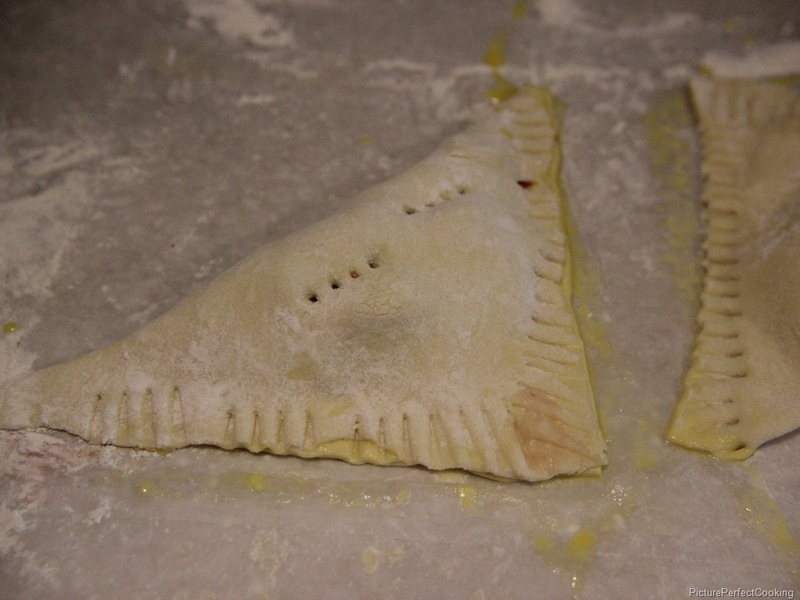 Poke two holes in the top of the turnover with the fork to let steam escape. 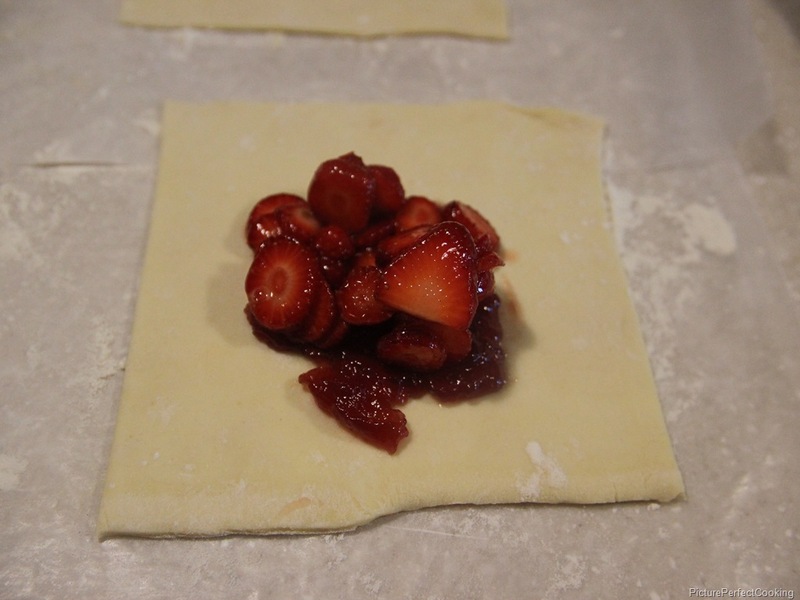 Brush the entire pastry with a little of the egg wash and sprinkle granulated sugar on top. Bake for 20 minutes then remove to a wire rack to cool completely. 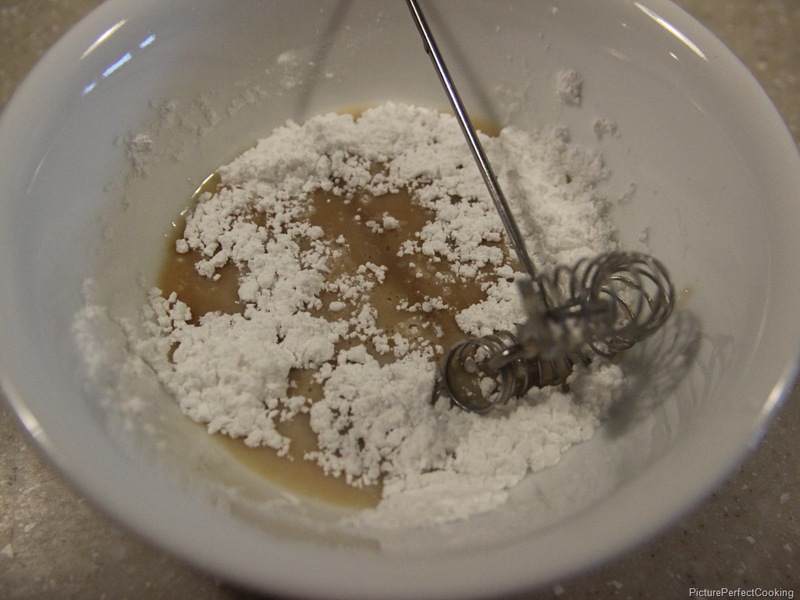 When cooled, prepare the frosting by combining the powdered sugar, milk and vanilla. 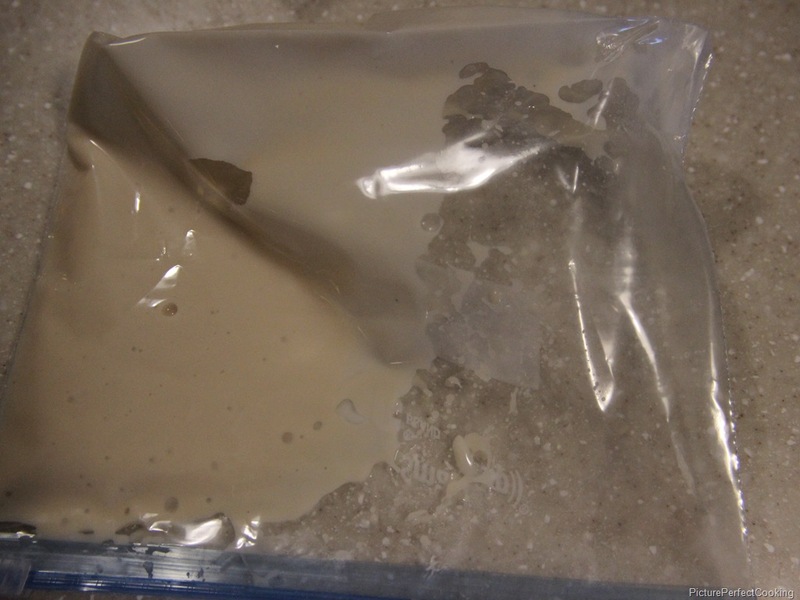 Pour this into a small zip top bag and cut a small hole in one corner of the bag. 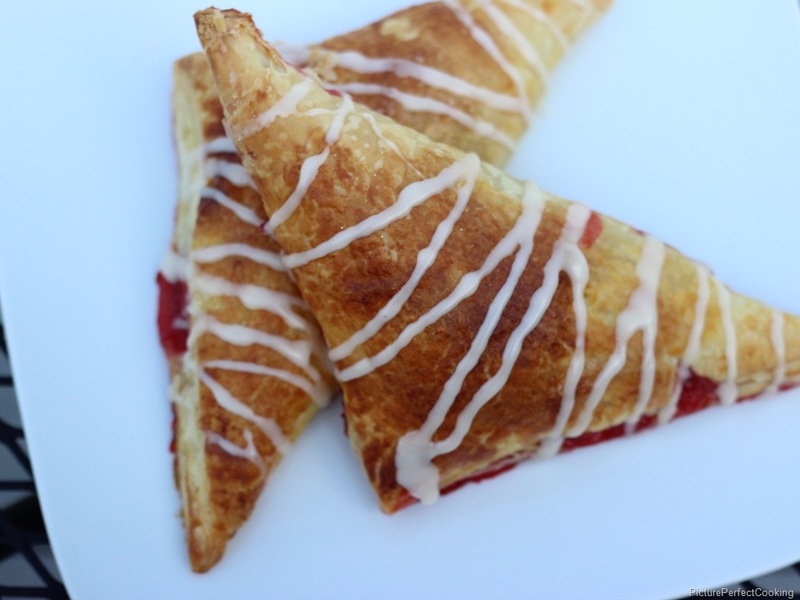 Drizzle the icing onto the cooled turnovers and then eat up! 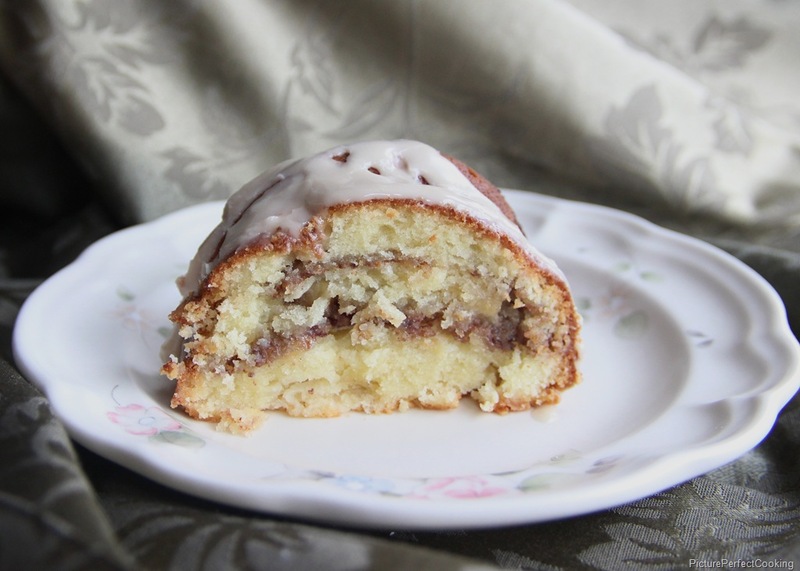 Today’s post is this month’s entry for the Dessert Challenge hosted by Lady Behind The Curtain. Every month she gives us bloggers two ingredients to use and post about then we all link up together on the second Thursday of that month. 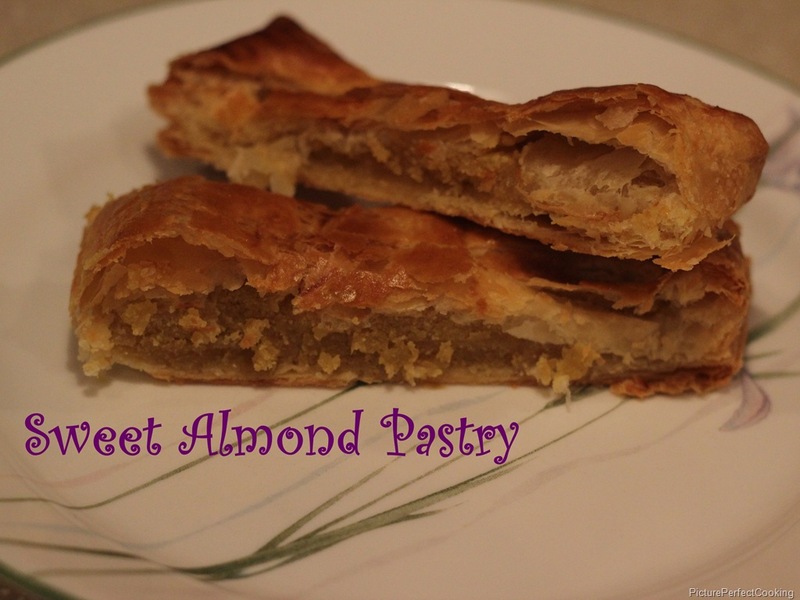 The spotlighted ingredients for March are almond paste and pastry. When I first saw those two listed, I felt a little nervous about finding the almond paste to buy, much less finding a recipe. I was right about finding the paste…I couldn’t find it locally and it was going to be too pricey to ship so I just found a recipe for it and made my own. 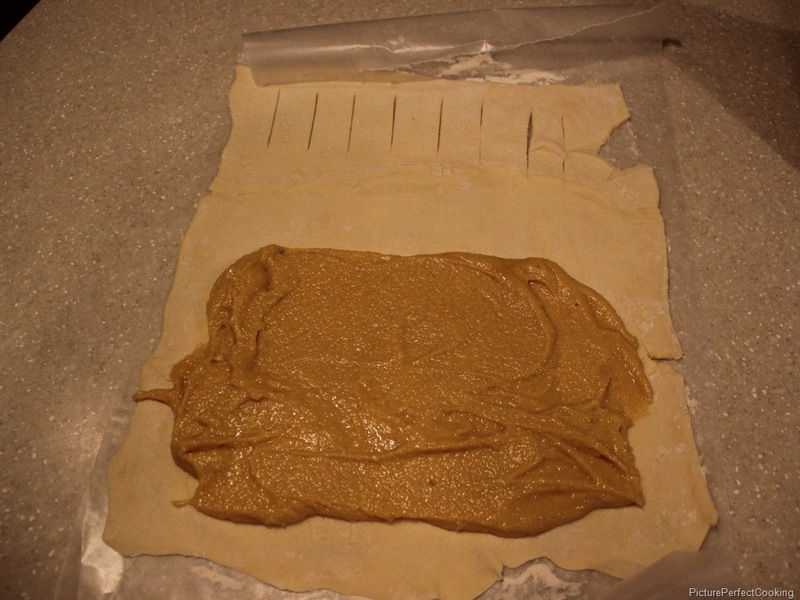 This is really going to be two recipes in one post so it is long: one for the almond paste and one for the sweet almond pastry using that paste. 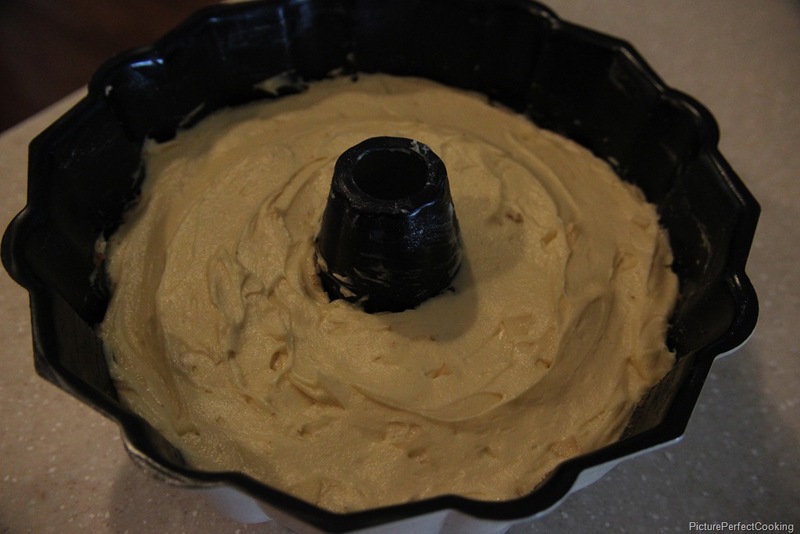 The almond paste recipe was from Two Tarts and the pastry recipe was from the Pepperidge Farm website. Enjoy! 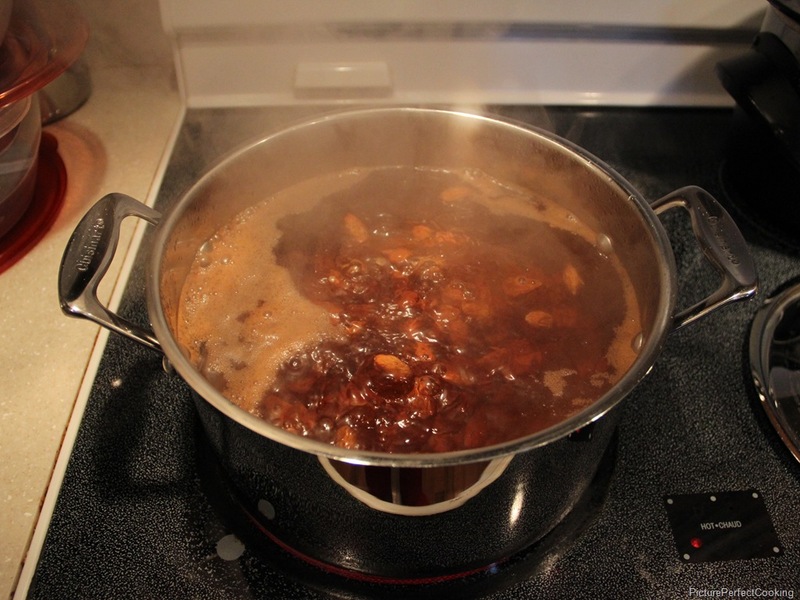 Heat a big pot of water to boiling. 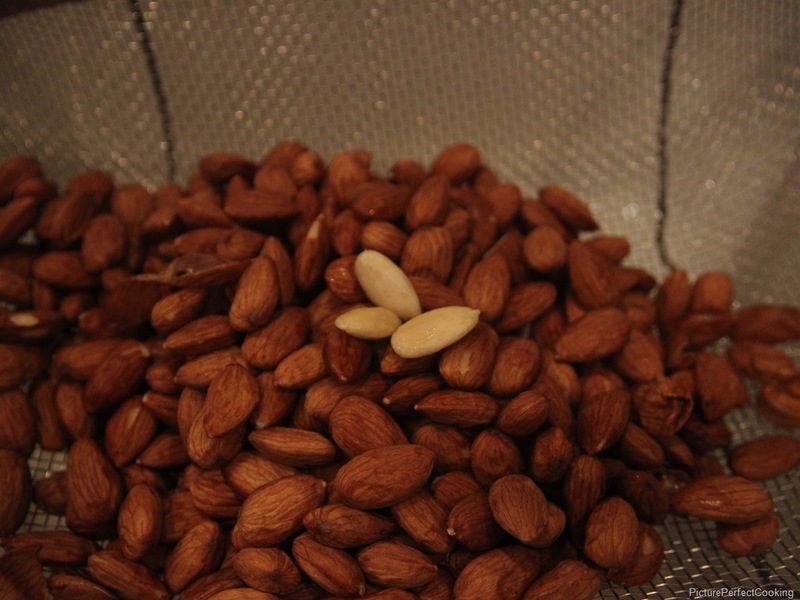 Pour 3 cups of almonds into the water and boil for one minute. Drain immediately and let cool for a few minutes before peeling their loose brown skins off. The skins will just peel right off with very little effort. 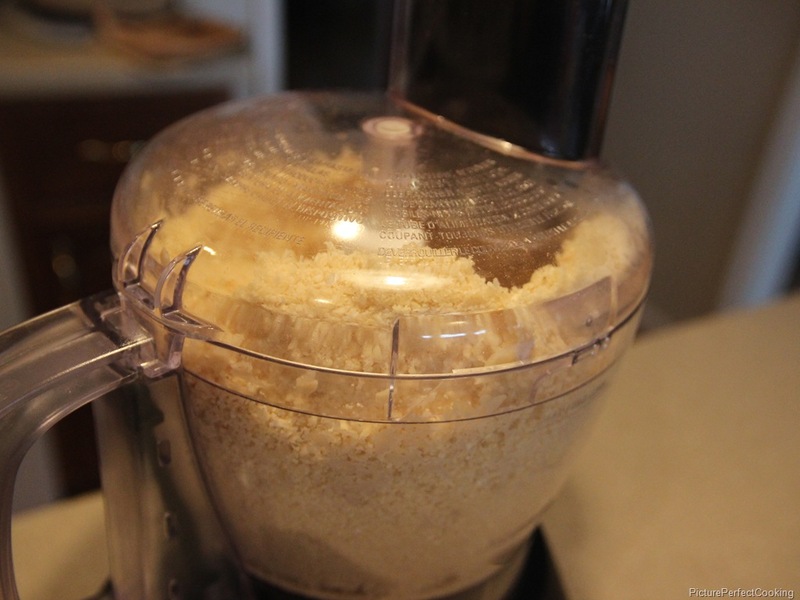 Put the almonds in a food processor and let it run until the almonds are in very tiny pieces. This will take 2 to 3 minutes. Preheat your oven to 400 degrees and prepare a baking sheet with parchment paper or spray with non-stick spray. Combine 1 egg with the water for an egg wash. Set aside. 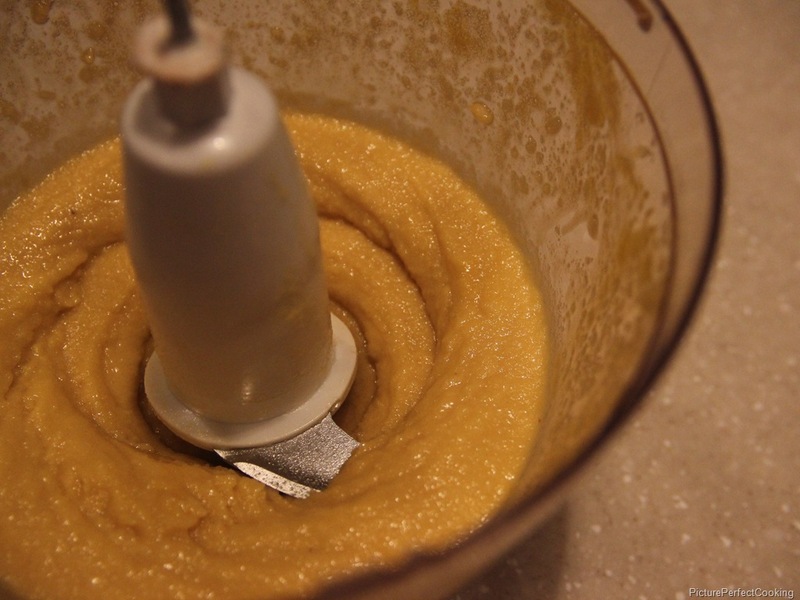 Place the almond paste, granulated sugar, 1 egg and vanilla in a food processor. Cover and process until the mixture is smooth. 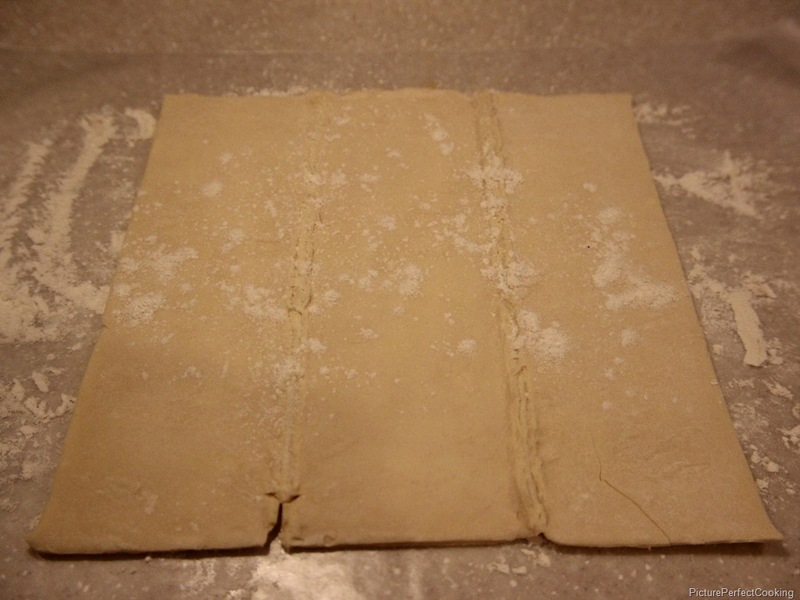 On a lightly floured surface, roll out the dough into a rough 12×10” rectangle. 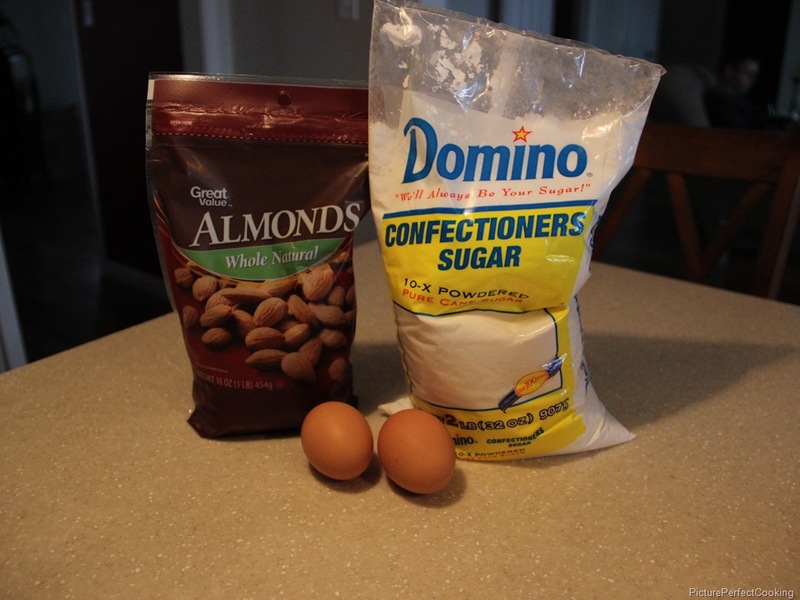 With the short side toward you, spread the almond mixture on the lower half of the dough. 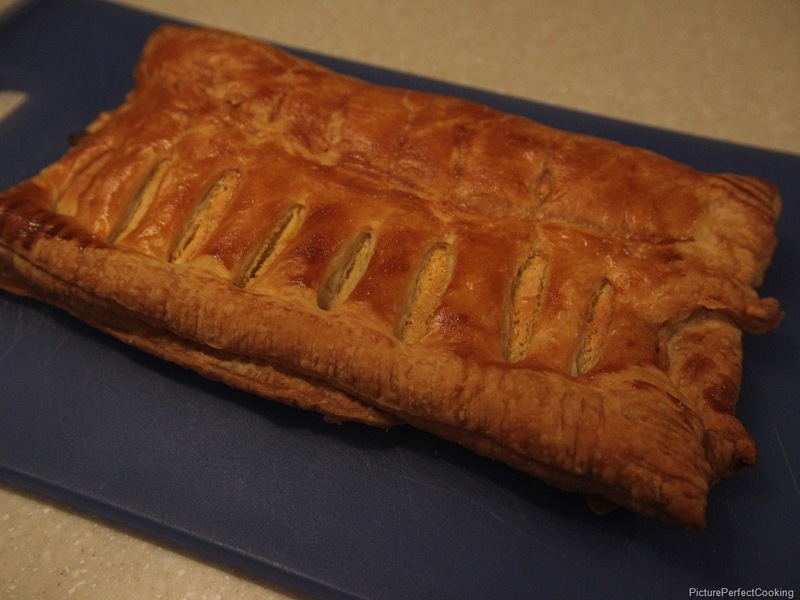 With a sharp knife, cut small slits in the other half. 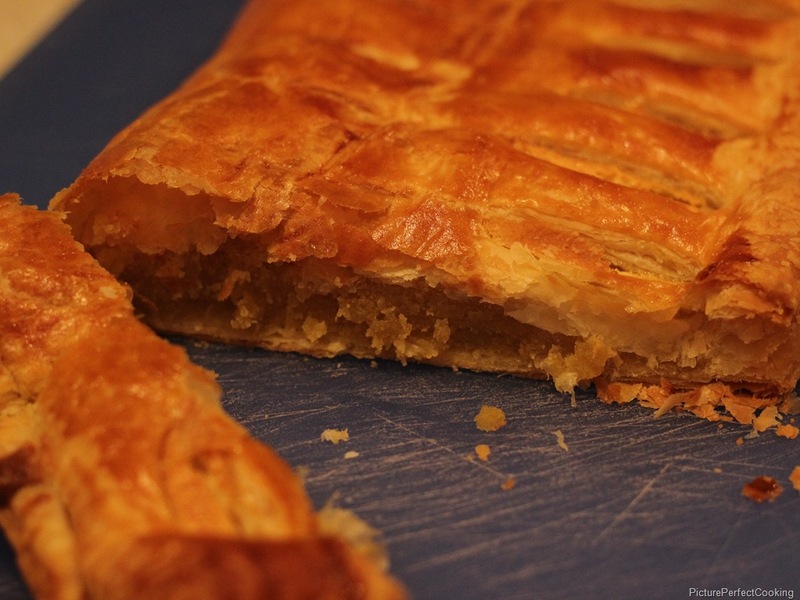 Then fold the half with the slits over the half with the almond mix and seal around the edges using a fork. Place this on the baking sheet and brush with the egg wash.
Bake for 12 minutes then reduce the heat to 375 degrees and bake for 20 more minutes. Cool for about 15 minutes and enjoy!